C.E.T. 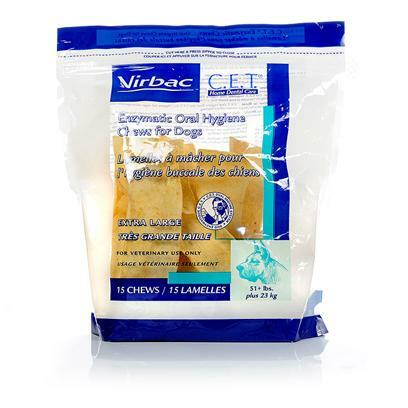 Enzymatic Oral Hygiene Chews for Dogs, featuring the exclusive Dual-Enzyme System, are made from select beefhide to combine a natural antiseptic plus an abrasive texture that works with the dog's chewing action to loosen tartar and provide clinically proven plaque control. Helps clean teeth and freshen breath even when brushing isn't possible. Appealing poultry flavor.